Being a novice driver, you can have rather vague ideas about what to do when receiving a traffic ticket, even if you have just learned the driver’s license laws for your DMV exams. Here is your helpful guide on the practical steps you need to take in order to avoid the most unpleasant scenario. Provide the officer with your driver’s license (remember, that according to a new drivers license law, you need to receive a Real ID-license by 2020 in order to use your license as both ID and driver’s authorization card). Give a document proving that your vehicle is insured. Step outside your vehicle if asked. Sign a ticket given to you by the officer. Note that by signing the ticket you don’t confess yourself guilty of violating any traffic rules or license requirements. You can still fight the ticket if you want to. On the other hand, your refusal to sign the ticket can lead to your arrest, and it will be tough on your argument in the court. - challenge their decision in court. - appear in court for fighting the ticket. Serious offenses such as violating impaired driving laws, driving without your driver’s license or violating your driver’s license restrictions, usually imply that you must appear in court on a date specified in the ticket regardless of whether you are going to challenge the decision or admit your guilt. Moreover, in case of drunk driving, you can be arrested right on the road. Receiving misdemeanor tickets can lead not only to large fines, but also to imprisonment and driver’s license suspension, so if you are not arrested, your options are limited to hiring a lawyer and pleading either guilty or not guilty in court. Examine your ticket and find out which court is listed in it. Visit the court’s official website to learn what payment options are available for you. In many cases, courts allow paying traffic tickets online, by mail or in person. Choose your preferred option and learn how much you need to pay and by what date – usually, you can find this information on your ticket. Make your payment taking into account the date specified in your ticket – when paying by mail, you should make the payment in advance to be sure it is timely processed. If you are late with the payment, you can face additional fines or your driver’s license can be suspended or even a warrant can be issued for your arrest. Get your equipment fixed and receive a corresponding certificate. Deliver the certificate to the court in person or by mail. Pay the required fee choosing one of the payment options available. If you choose to pay the ticket, you do not need to appear in court and your case will be considered closed. At the same time, since your payment equates to pleading guilty, your violation will get into your driving record with all the consequences. This means that you will obtain penalty points, which can lead to your driver’s license suspension (provided you have got a corresponding amount of the points) and to increase your insurance payments. Since penalty points in your driving record can result in further losses, you can try and avoid receiving them, even if you are guilty. In order to avoid getting penalty points into your driving record, you can ask for a traffic school option. Don’t mix up this option with drivers’ education and training programs under your local graduated driver license law – the traffic school program is aimed at both minors and adults. The programs are developed in order to improve driving skills and knowledge through state-approved traffic schools, while for you this means removing your penalty points from the driving record upon the program completion. 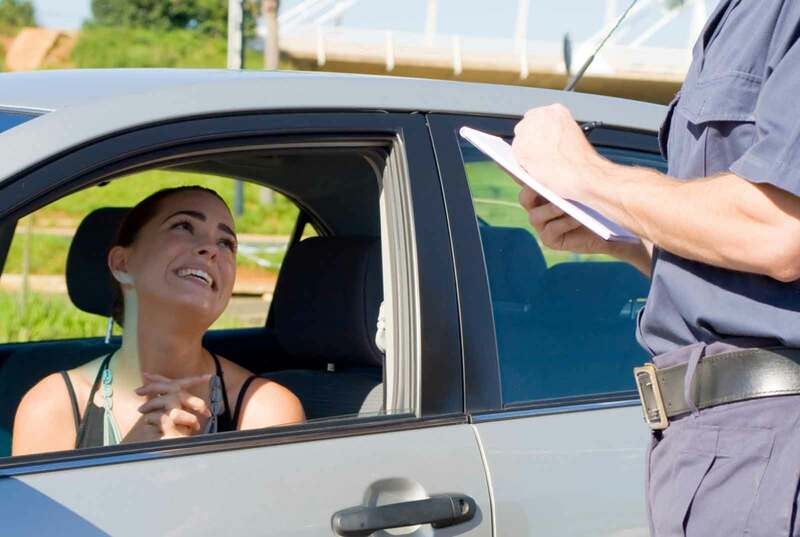 By reducing the number of these points, you can avoid both your DL suspension and raising your insurance rates, but you need to change the above-mentioned scheme of handling your ticket. Visit your local DMV or court website to learn whether you are allowed to attend traffic school. Most states have a specified period of time within which you must not commit any traffic rules violations to get the right for the enrollment. For example, in California, you can go to traffic school if you haven’t attended one for your previous violation over a span of 18 months. Also, there can be other local restrictions and requirements on attending traffic schools. Appear in court on the date specified in your ticket or request traffic school via any other way permitted in your state by the specified date (usually, you are also allowed to request online or by mail). Pay your fine under the ticket, as well as additional fees - for processing your request and for a traffic school course. Get permission from the court along with a deadline specified for traffic school completion. Complete the program and check if your certificate is sent to the DMV and court (usually, you can check this online). Sure, you have one more option – to fight the ticket in court, either on your own or with the help of a lawyer who knows driver’s license laws and other regulations.